Just received this press release for a new EVSE that reaches a new price/performance level that's better than anything I've seen. 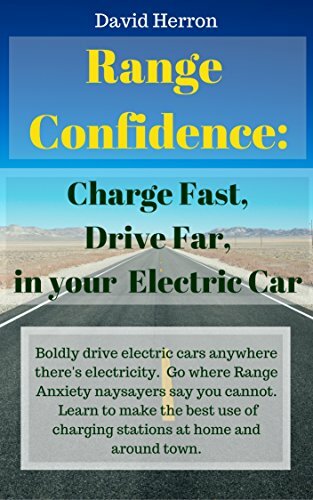 As said below, it's suitable for the vehicles with higher charge rates - the Leaf/Focus EV/Volt/etc all use 3kw (16 amp) or 6kw (32 amp) on-board chargers and can get away with lower powered EVSE's. The Toyota RAV4 EV supports higher power charging, at up to 40 amps IIRC, and the Model S can go even higher. It weighs 25 lbs and 19.7” L x 8.9” W x 5.3” D (500mm L x 225mm W x 135mm D) in size, indicating it's portable enough to carry around. It's supplied with a pigtail, meaning you attach your own plug. Meaning, one could go on a long trip with this, stopping at RV parks and the like to pick up a charge. Before this, Clipper Creek's most powerful portable charging station, the HCS-40, supported 30 amps. AUBURN, California, March 13th, 2014 – Adding to ClipperCreek’s HCS series product line is the new HCS-60, a powerful and rugged 48 Amp station paired with a highly durable rubber molded vehicle cable and connector. Redefining power, convenience and value, this 240Volt, level 2 electric vehicle charging station, rated for both indoor and outdoor use, is priced at $899. Built to serve the residential and commercial markets, the HCS-60 packages all of ClipperCreek’s “best in class” standard product features, like a 3-year warranty, a fully sealed, rugged NEMA 4 station enclosure, and 25 feet of charge cable. Starting at $899, this is the best valued 48 Amp charging solution on the market. The HCS-60 is compatible with all plug-in vehicles available today. With 48 Amps available for charging, the HCS-60 is perfect for vehicles that can take advantage of higher charging currents like the RAV4EV, the Tesla Model S, or electric fleet trucks. The HCS-60’s rugged design and ample 25 foot charging cable makes it the best solution for any fleet, commercial property, or home owner looking to charge an electric vehicle today, and into the future. ClipperCreek products are made in the USA, compatible with every vehicle, and automotive supply chain certified. As a leading supplier of electric vehicle charging infrastructure for over 16 years, millions of electric vehicle charge sessions have relied on ClipperCreek. Unparalleled quality, reliability, and superior customer service are core values at ClipperCreek. Visit our online store at www.clippercreek.com where we offer the widest variety of charging stations in the market.